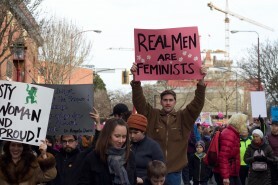 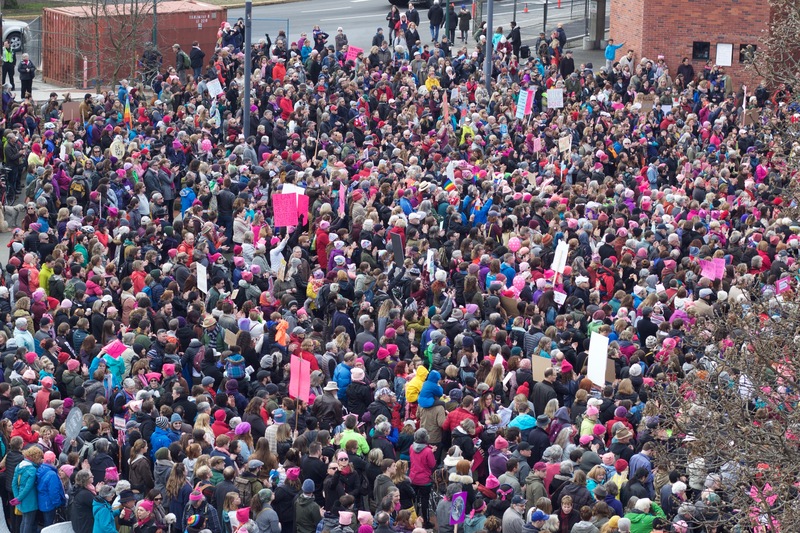 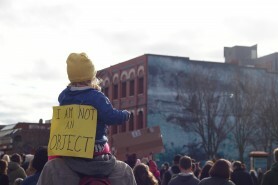 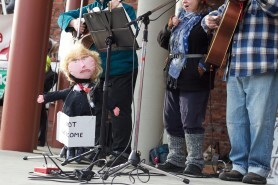 A crowd of approximately 2000 people (as reported in the Times Colonist) gathered in Centennial Square on Saturday, Jan. 21, to show solidarity with those women who marched on Washington, D.C. the same day. 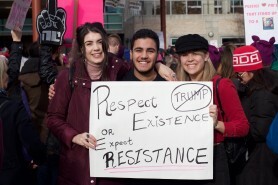 With the inauguration of Donald Trump fresh in everyone’s minds, the rally was one of many across the globe in which protesters voiced their opposition to recent attacks on human rights and freedoms. 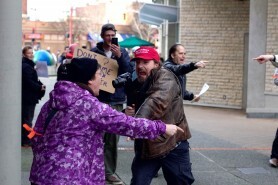 Following a rally that included local politicians such as Elizabeth May, leader of the Green Party of Canada, and Victoria mayor Lisa Helps, the crowd marched down Pandora Avenue, along Wharf Street, and back down Government Street, waving signs and shouting protests all the way.